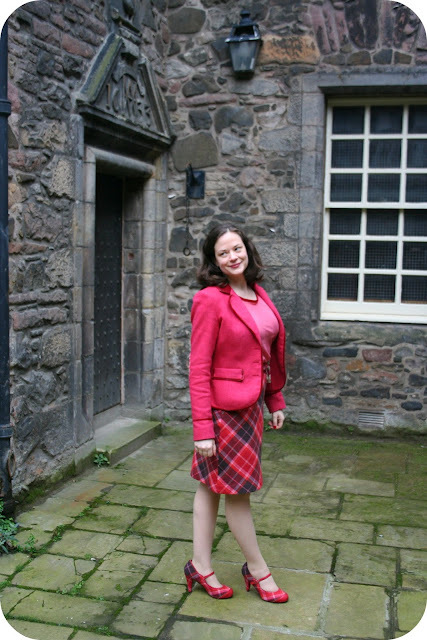 Thank you all for your wonderful comments on my 'Rabbie Burns' dress post! Several of you asked about the Dutch pockets. I'm not really sure how they differ from modern pockets inserted into side seams because I don't think I've ever sewn pockets using a modern pattern..lol. So, is it just a fancy name for normal pockets? I'm hoping those of you who sew regularly with modern patterns can tell me how, if at all, these Dutch pockets differ! The fly-front closing is being used again--a change from buttons, but you can have buttons if you prefer them. The waistline is the next point of interest--there is a set-in belt to keep the dress just so at the waist, then a leather belt on top of that, held exactly in place by loops. Notice the slash pockets, for they are new, placed in the seams for easy sewing. No. 3641. Sizes 12-20. 50 cents. Dutch pockets are another type in this season of all kinds of pockets. 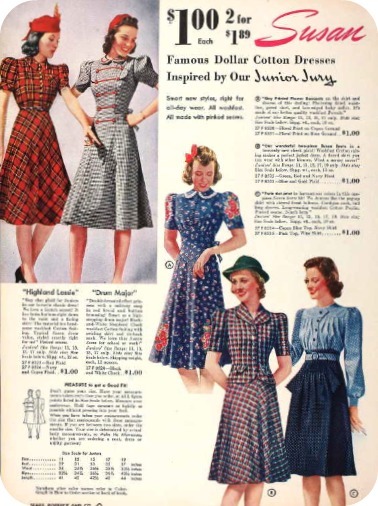 Usually they are rather difficult to make, but those in the dress with the fly closing are easy ones, because they have been placed in the seams. 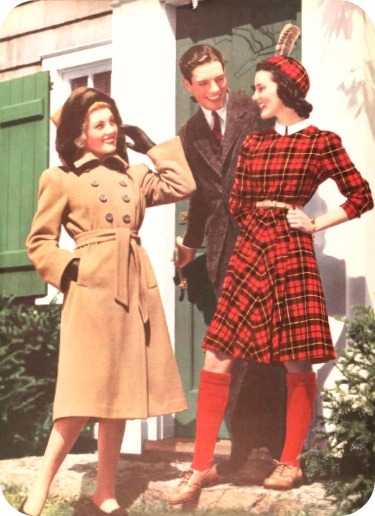 Following some of my inspiration photos from the fall 1940 Sears catalogue, I decided to make a mix between views A and B using a tartan viscose fabric (in the Stewart plaid). I opted for the button closure--thinking the solid colour of buttons would help break up such a busy tartan print better than a fly closing, which might be lost on a print dress. I definitely wanted to keep the bodice pockets and collar, so used those from view A. Overall, the dress took about 20 hours to sew up. I graded the pattern up from a B32 to a B34, though this time I did a bit of an experiment and didn't grade up the neck opening (and hence didn't have to grade the collar). It worked out well since I don't plan to button the bodice up all the way to the neck (as in view 'B' on the pattern cover). Sometimes I go a bit overboard in grading--adding too much length to the front and back. The back still looks a bit 'bloused' (whereas the pattern cover doesn't show it as 'bloused') but I managed to take up most of the extra length by adjusting the waist seam. The waist 'belt' is attached by a lapped seam, which incorporates belt loops. It's really difficult to do a lapped seam on the waistline. It involves lots of pinning, basting and trying on. I think I probably pinned and tried the dress at least 5 times just for the waist seam. I love the 'dutch pockets'. They look very sleek and as the description states, were fairly easy to construct. I like how they are at the seam that joins the front and front side skirt sections instead of just at the side seams. 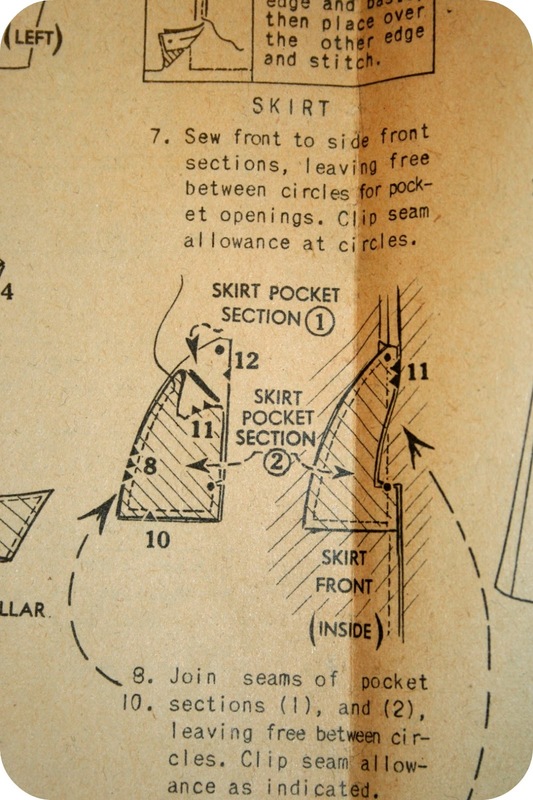 The bodice pockets on the other hand, were quite tricky to assemble. Normally, lapped seam pockets are a bit of a pain anyways....and then add the need to match the plaids at both the sides and top and bottom of the pockets. Plus, the pocket flap is a separate piece from the main pocket body. Phew! That's a lot of plaid matching! I thread basted the pockets on first to avoid slippage when matching the pattern. Despite this, I still had to unpick and redo one of the pockets. They are definitely not perfect but pretty close to matching--which is fine by me! I just love the sleeves on this dress. I opted for the short sleeves so that I could easily wear this dress under a jacket. 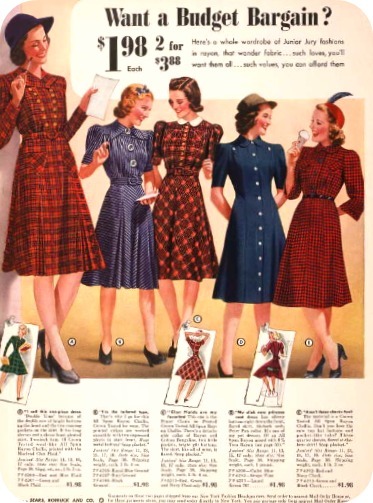 They are gathered at the sleeve cap creating a bit of a puffed sleeve look. Overall, I am very happy with the dress. 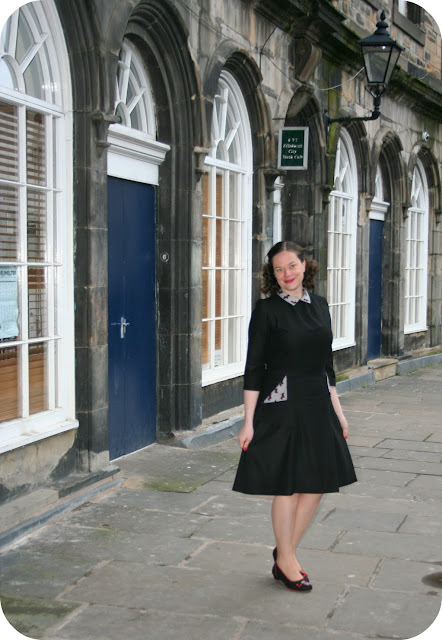 It's very 'busy' with the tartan print but is also very '1940'! I plan to wear it with a black jacket to help break up the bright colour a bit. 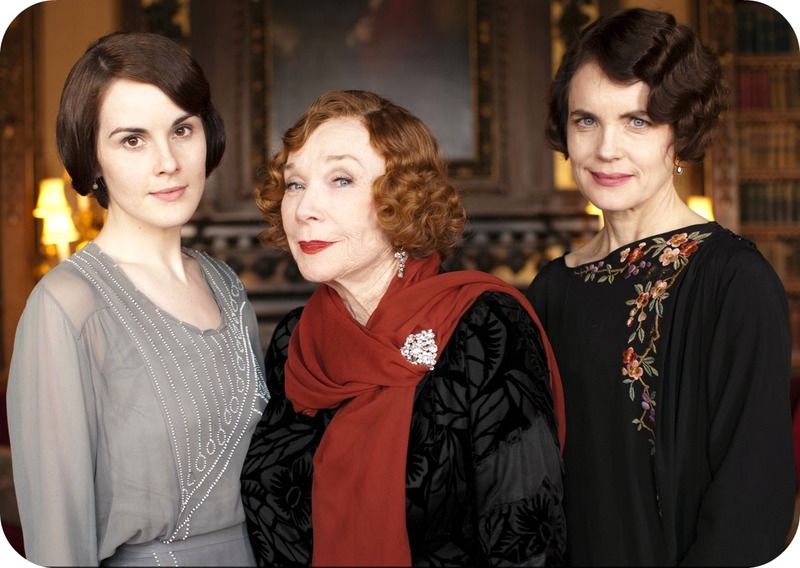 The episodes of Downton Abbey from the last two weeks have some amazing costumes! 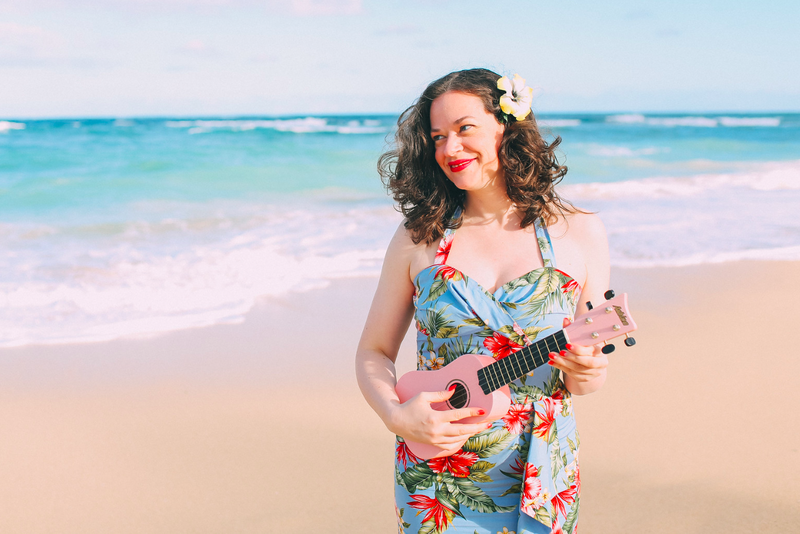 SPOILER ALERT, if you haven't yet seen these episodes then you might not want to read this post. I love the lace overlay, the sash belt and the beautiful sleeves. 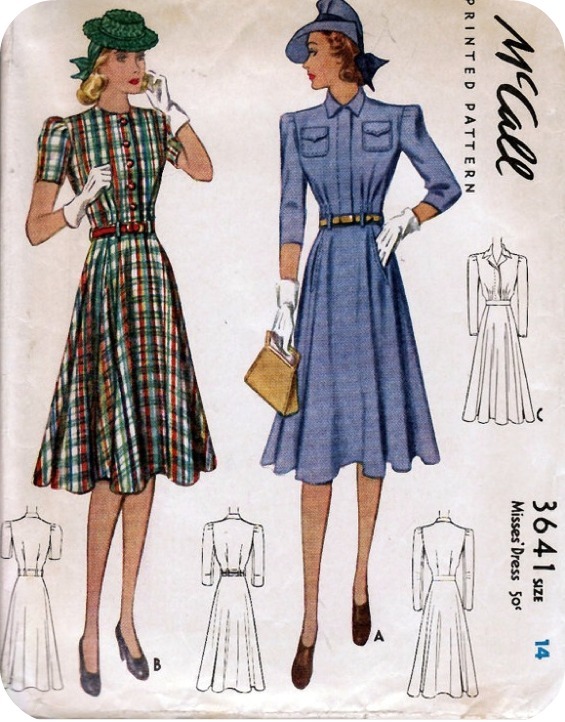 I imagine it would be fairly easy to reconstruct the flutter sleeves from Mary's dress using the long sleeve drape from this pattern. I think this neckline would look fabulous with some embroidery (sans long neck tie). The best costume of the show? 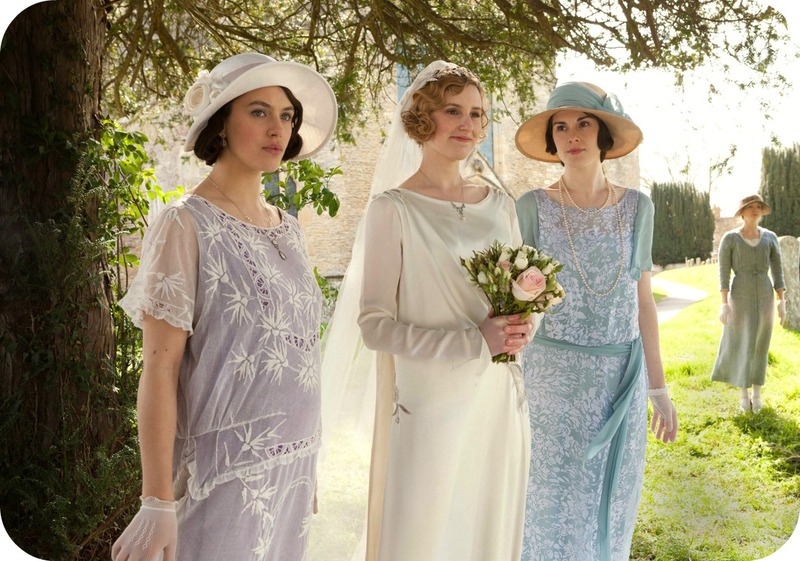 Hands down it has to be Edith's wedding dress. It's a very simple dress with a slight scoop neckline and a train that starts at the shoulders. 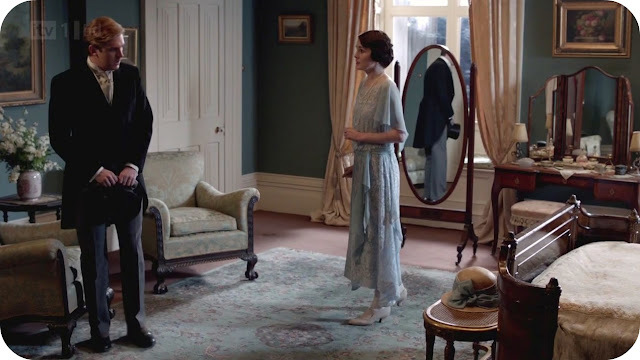 I think it would look exactly like Edith's dress if it was made in a soft silk as opposed to the much stiffer satin fabrics of the 1960's. 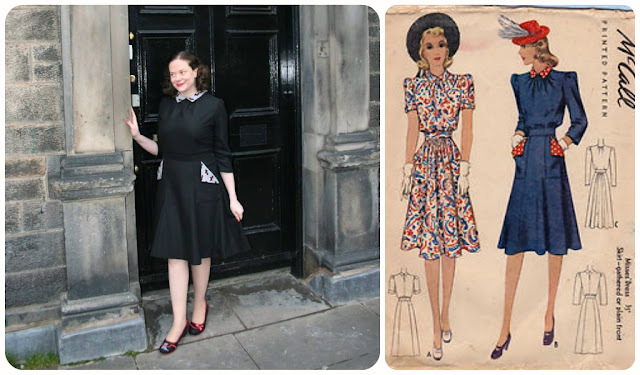 I'm pretty chuffed to have found an almost exact pattern match! 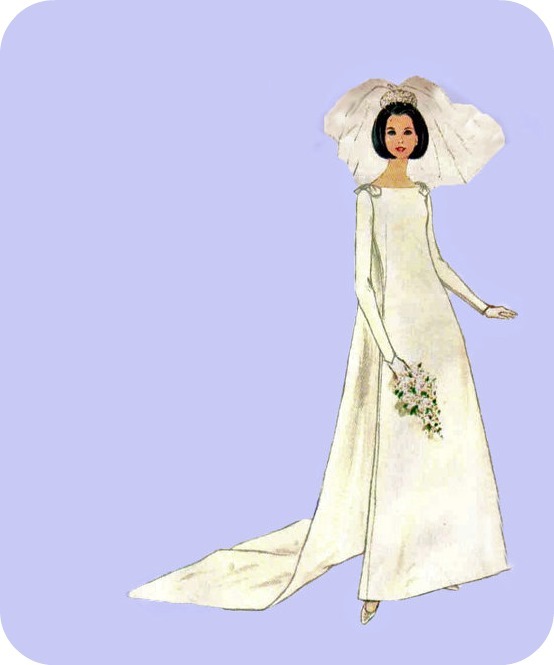 What did you think of Edith's wedding gown? 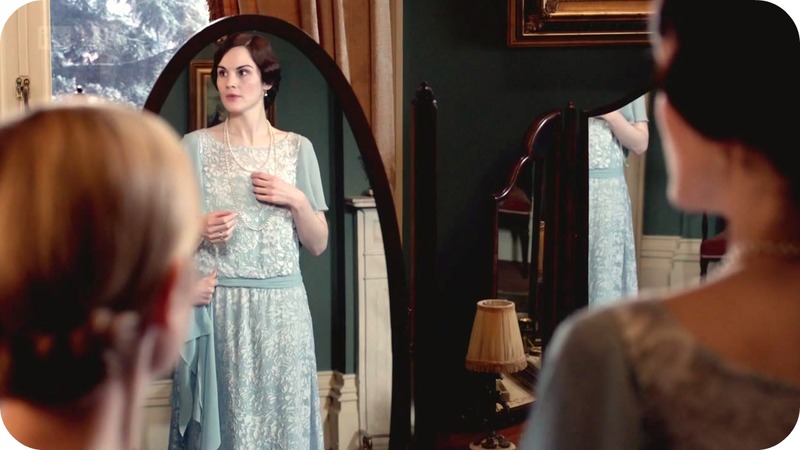 Did you like it better than Mary's wedding dress? What was your favourite costume from the last two episodes? Happy Robert Burns' birthday! 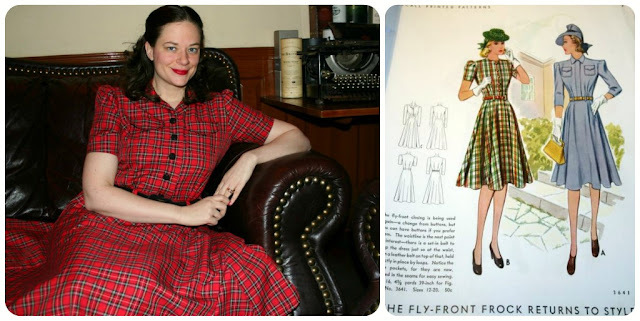 I'm still working on my 1940 tartan dress but realized I had a nearly finished Taffy blouse (from the Colette pattern book) lingering about and decided to finish it up to wear this evening! 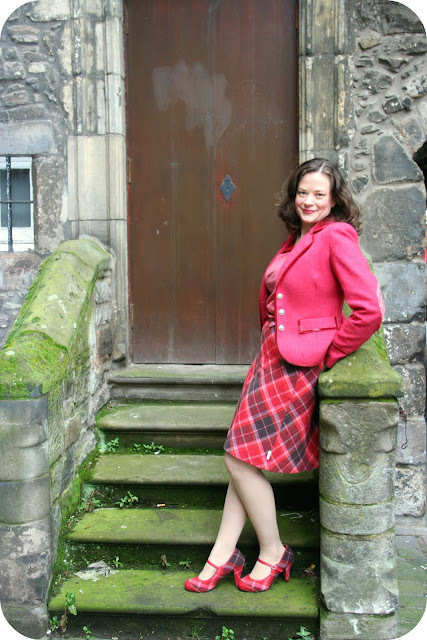 I picked the pink colour for the blouse to go specifically with my tartan Ness skirt and matching shoes...perfect for a Burns evening. This was a relatively easy blouse project but not as quick as I thought it would be. I did a quick tissue fit and set out to cut out the very thin and sometimes slippery fabric. I'm not sure exactly what the blouse fabric is made of, I'm thinking it might be a cotton voile. I cut each piece separately and tried to avoid slippage by placing the fashion fabric on top of a piece of wool to cut. I finished the entire blouse with french seams. I really love this method of finishing as it encases the seam completely. Then the blouse sat in my UFO pile for 2 months waiting for the bias binding on the neck and around the sleeves. I attached the bias binding by hand which took about 2 hours but I really love the effect! The sleeves are fantastic on this blouse! 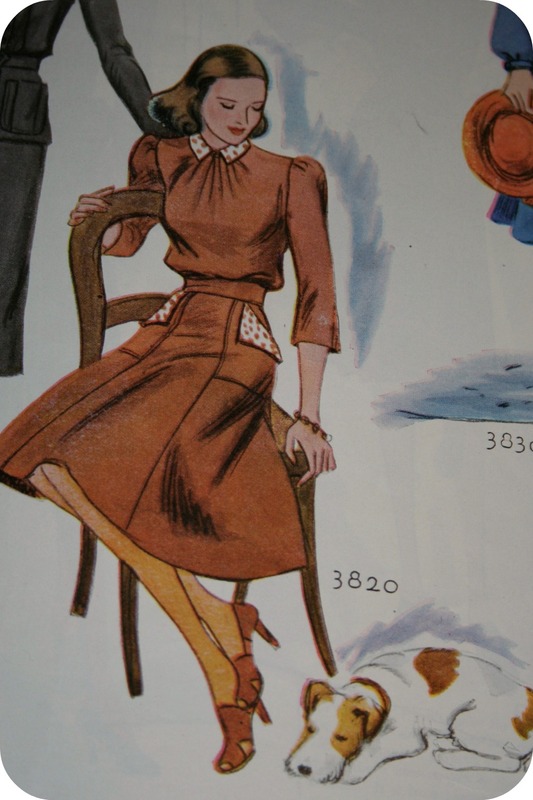 The only issue is that the neckline is a bit wider and puckers ever so slightly in the front and back. I think this is where the tissue fitting may have disguised a need to alter the neckline. Alas, lesson learned. I still plan to wear the blouse all the time. I love it! Plus, it goes with my Ness tartan skirt and shoes! I don't have much in my closet at the moment that goes with them--so I am super happy about the new blouse. I plan to sew up a 1940 dress sometime this spring that matches the shoes too! I will probably wear the blouse under a jacket most of the time, which is perfect because it hides the neckline faults! Every restaurant in the city is booked up tonight with Scots celebrating Robert Burns' birthday with a traditional supper of Haggis, Neeps and Tatties (turnips and potatoes) and a reading of Robert Burns' 'Ode to the Haggis' poem. 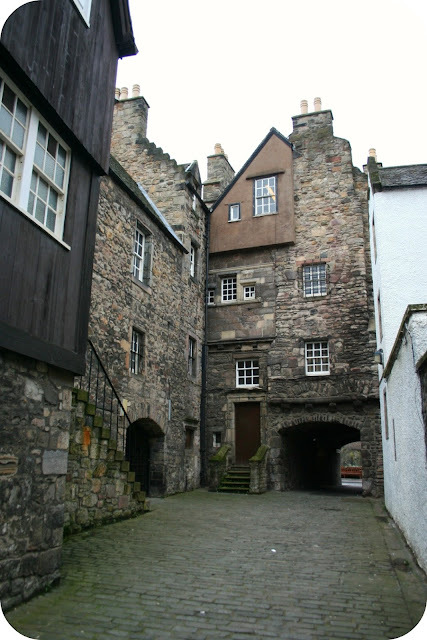 Instead of the traditional supper, we are getting together with a friend and going to a local Scottish pub where we will partake of some whiskey and take turns reading our favourite Burns poems. I'm really hoping I can finish the dress this weekend! 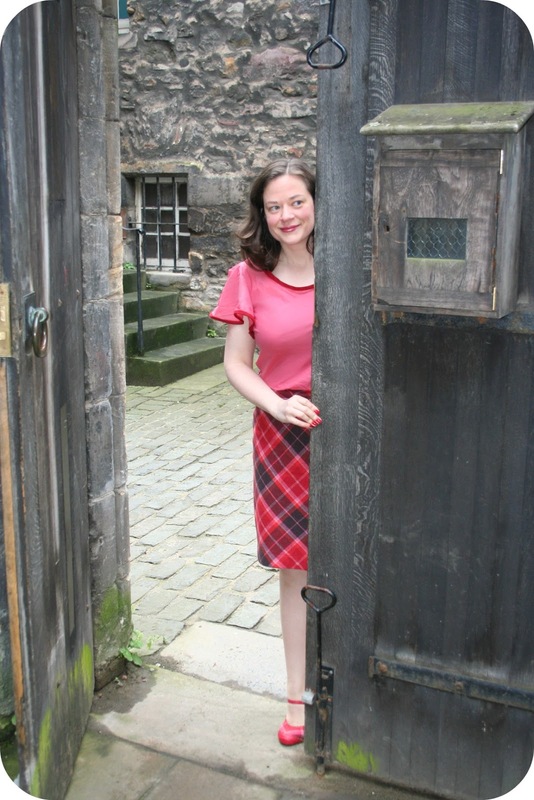 While I won't have it to wear tomorrow night, you can bet I'll be wearing some tartan and reading some Robert Burns poetry! McCall 789: Transfer Design for Embroidered Picture. Price, 35 cents. There is an amazing wealth of color in this enchanting garden scene of the famous old House of the Seven Gables at Salem, Mass. 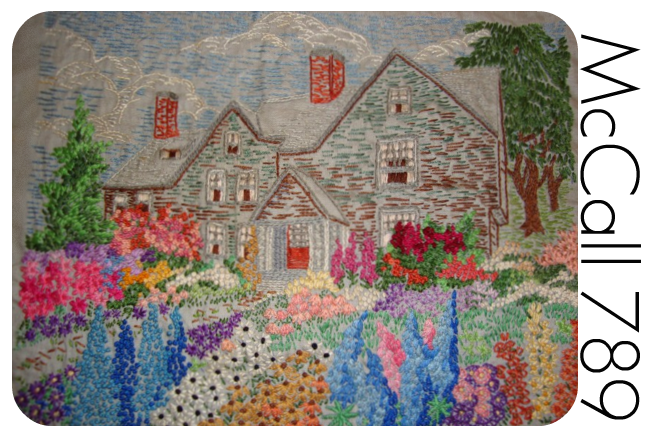 The flower masses are worked in simple everday stitches and stand out brightly in contrast to the dark tones of the house. Here are the larkspur, daisies, snapdragon, foxglove, etc. Work on smooth, closely woven linen in a warm, medium shade of gray. For strand cottons. Full instructions. Size of picture, 8 x 10 inches. Any one interested in Americana will recognize here the Salem home made famous by Nathaniel Hawthorne, one of the best known and most admired men of his time, both for his character and for his delightful books. 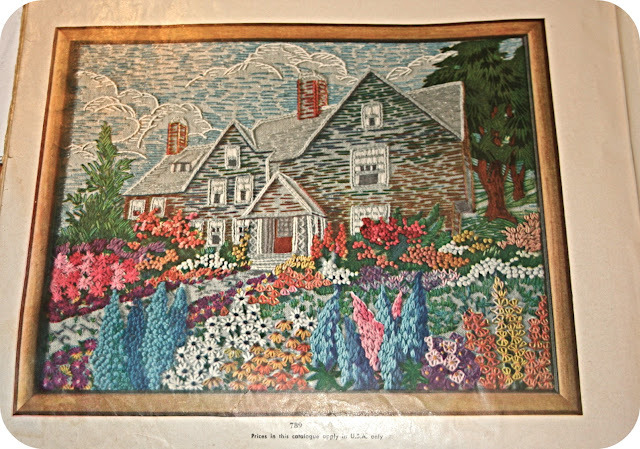 This picture of the House of the Seven Gables is a nice piece to hang on the wall of an American home. 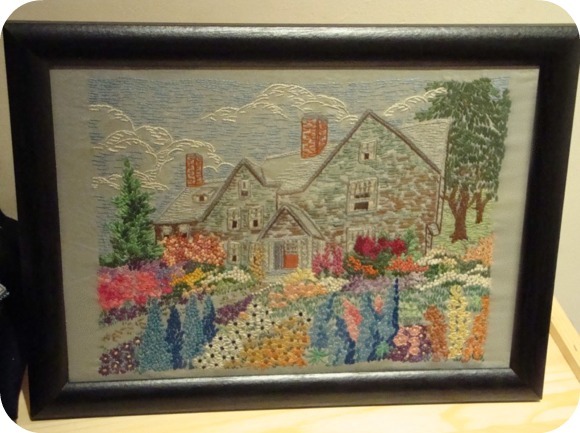 The colorful garden is done in simple stitches everyone knows, and the scene is charming when worked on light gray linen. Transfer design, 35 cents. This pattern came with an iron on transfer of the design. 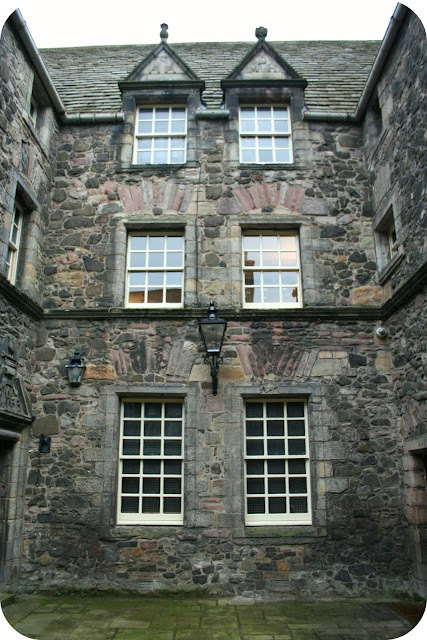 You can see the faint grey marks on the house and in the flower patch in the photo above. 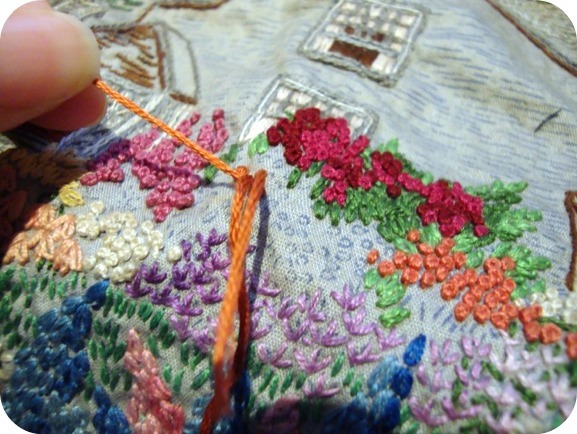 All of those turn into embroidered stitches to give the house and it's garden a warm palette filled with colour. 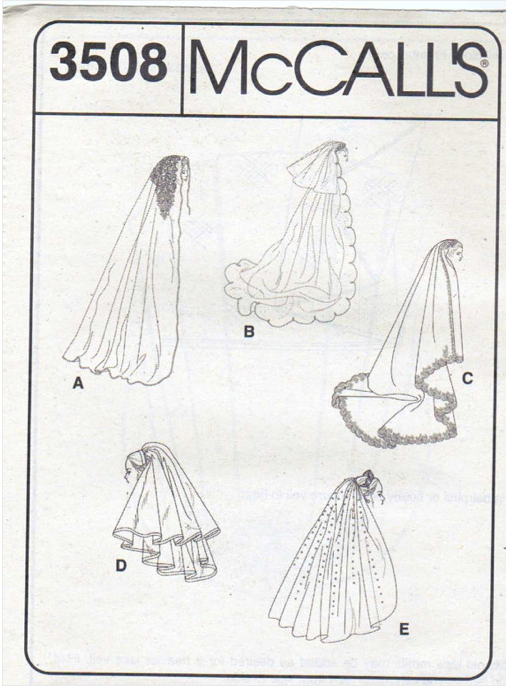 The best thing about embroidery patterns like this (at least for me) is that there are very distinct sections or clusters of flowers--making it easy to pick up the pattern and finish a cluster in one go. I feel like this pattern went quickly because it was so easy to break up the work without feeling overwhelmed. 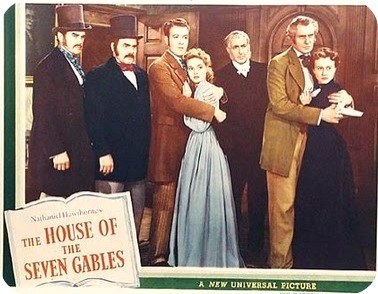 I think the fascination with the House of the Seven Gables in 1940 was based on the movie starring Vincent Price that came out that year. 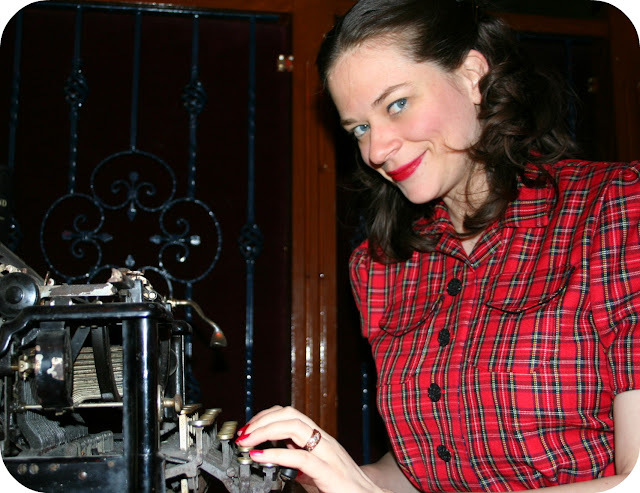 The movie is based on the novel of the same name by Nathaniel Hawthorne. I read the novel and really enjoyed it but I must admit that the embroidered house looks nothing like the real house that is the subject of the book. I finished up the picture in time to mail to my mom as a present for Christmas but it got lost in the mail!!! Seriously, weeks and weeks later it finally showed up. I was so nervous! Lesson learned...always get your embroidery/sewing presents with postal tracking!! I am super excited to tackle some of the other embroidery patterns from 1940! 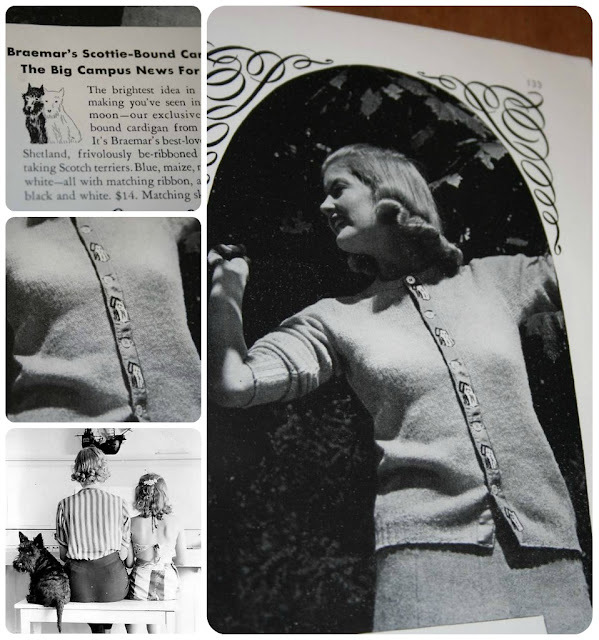 Turns out that Scottie dogs were quite the fashion in the 1930s and early 1940s. 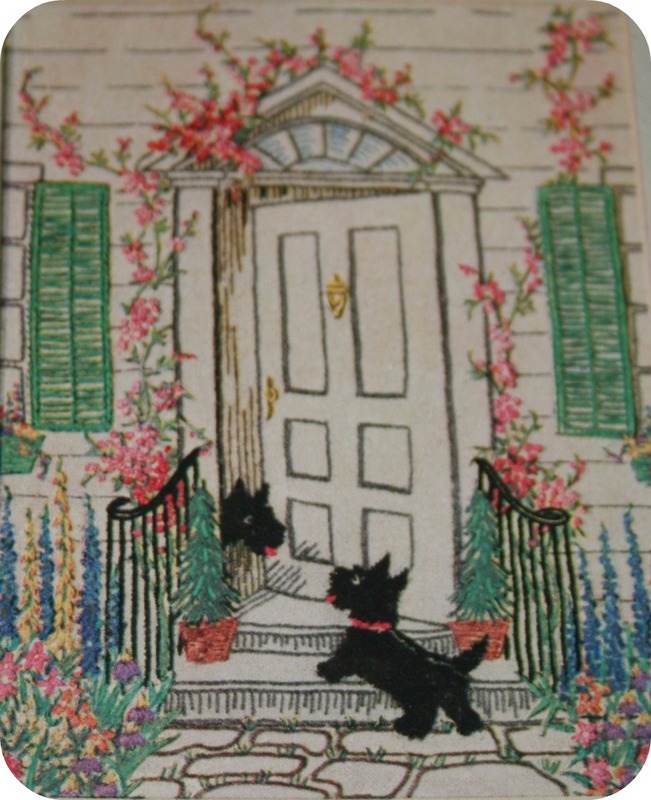 Here's a few transfer patterns from the McCall Needlework catalogues that include those adorable pups. 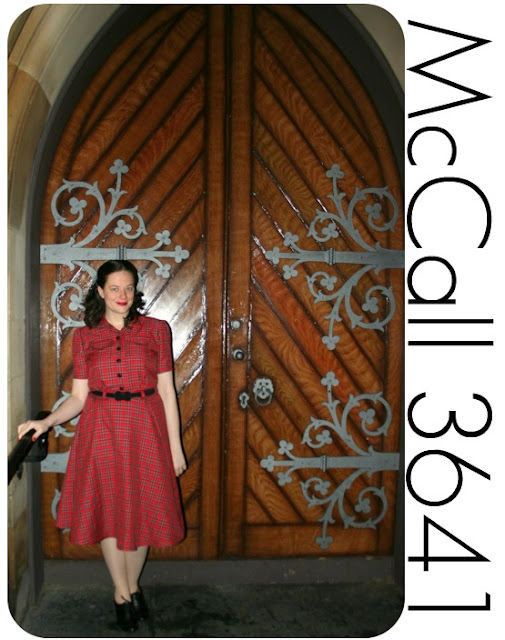 I've included the McCall descriptions of the patterns and my guesstimate as to the date of each pattern. The earliest one I've seen is McCall 50 from the (late 20's?) early 1930s. 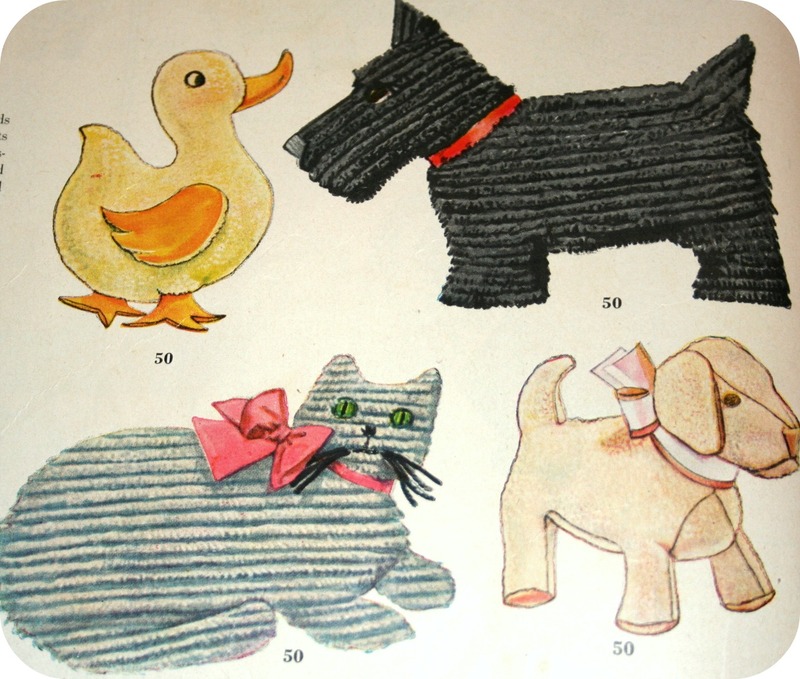 McCall 50: Printed Pattern for Stuffed Animals. Price, 30 cents. These animals can be very cleverly made to look as though they were really coated with fur. 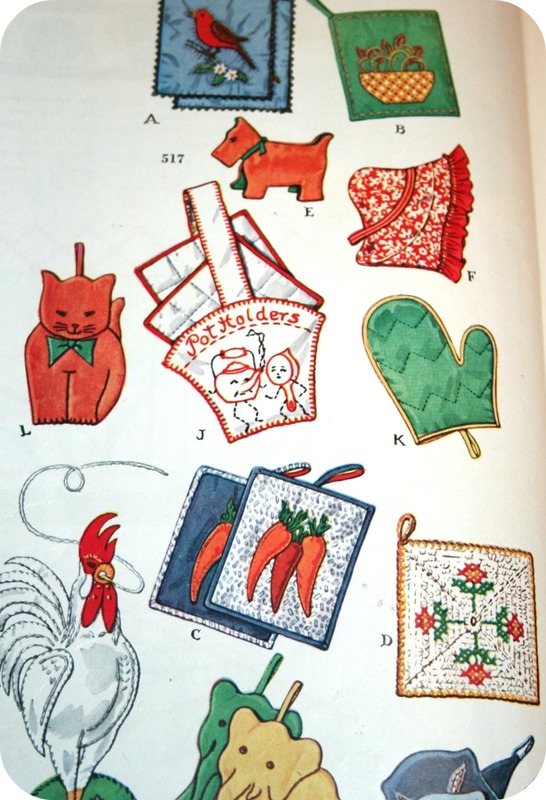 The cat and dog illustrated were done with yarn and a machine-craft guide on the sewing machine, using unbleached muslin for the foundation. Full directions given. Similar effects can be obtained by using fur cloth, terry cloth or bath toweling. They make nice cuddly animals for the children to play with. The cat and Scottie can be used as pillows for the porch or boudoir. The cat is 14 x 17 inches; Scottie 15 x 19. The duck is 12 ins high; the dog 10 inches. Make these of calico or terry cloth. Another dog in pattern. McCall 430 (from c. 1936): Transfer Design for Embroidered Picture "Friendly Neighbors." Price, 35 cents. This appealing picture will delight anyone with a weakness either for Scotties or for Colonial doorways wreathed in rambler roses. The colors of the cottons in which it is to be worked are beautifully blended. 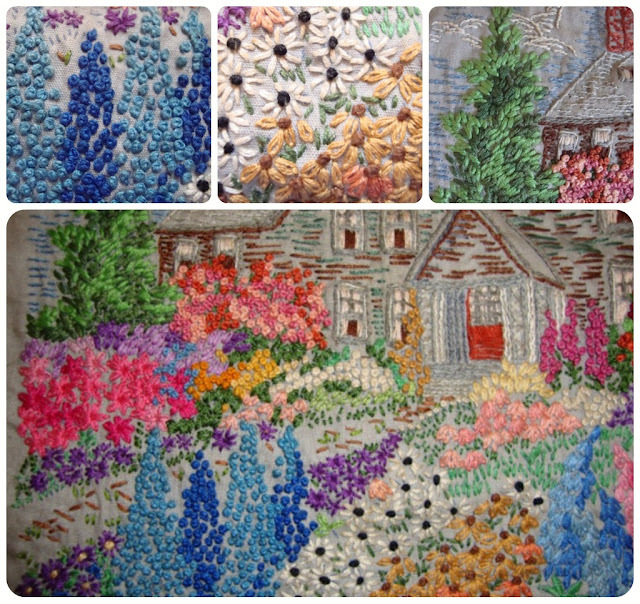 French knots for the roses, straight stitches for the shutters, single stitches for the dogs, etc. For 6-strand cotton on light cream linen, medium fine. Color chart and leaflet. Design, without mat, fits a 9 x 12 inch frame. McCall 517 (from c. 1937): Transfer Design for Scrap Bag Gifts. Price, 25 cents. All sorts of fascinating pot holders with new ideas. The carrot and bird designs are stuffed with cotton--making them look very real. The glove pot holder is grand for pulling the roast out of the oven. The elephants and morning glories are nice in pairs. For those who crochet we've also included a simple design. And there's that impressive rooster twine holder to be made of felt or oilcloth. 12 different designs. McCall 622 (from c. 1938): Transfer Design for Felt Crafts. Price, 25 cents. With this fascinating felt craft pattern, you can make no end of lovely gifts in bright colored felts. Very easy to handle--no unwieldy hems or edges to felt! You just stamp and cut the design from the felt and finish edges with pinking or cover them with wool stitches. There are belts, bags, dangles for lapels, pin cushions, trimming motifs, etc. (25 designs). 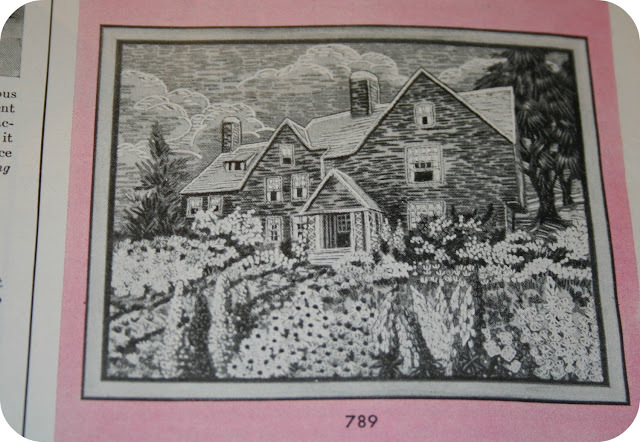 McCall 653 (from c. 1939): Transfer Design for Scotties in Cross Stitch for Chair Back Set or Pillow. Price, 25 cents. The amusing antics of these cunning little Scotties add a touch of gayety to even the decorous room. The design can be worked in black or one color on natural, cream, ecru, white or oyster white linen in six strand cotton, pearl cotton No. 5 or fine English crewel wool. Crosses 8 to the inch. One chair back design, 14 and 1/2 x 16 and 3/4 inches and two chair arm designs 8 and 1/2 x 14 and 1/2 inches. Suitable for pillow. McCall 728 (from 1939): Transfer Design for Scottie Tea Towels. Price, 25 cents. Leave it to the Scotties! They've donned their aprons--very doggy ones at that--and they're taking charge of the kitchen. These six helpers having nothing slow about them. In no time they are done--straight stitches and outline make them very rapid. Gay strand cottons keep them lively. Six designs about 8 inches high and 5 and 1/2 to 7 and 1/2 inches wide. 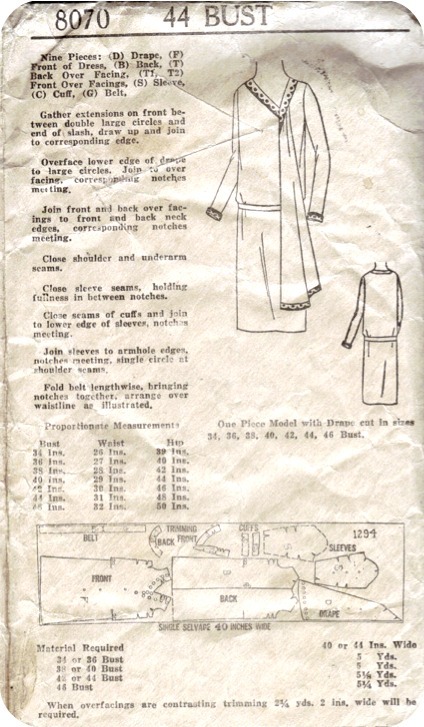 McCall 943 (c. 1941): Transfer Design for Scottie Motifs for Outline Stitch. Price, 25 cents. With his Scotch hat and plaid coat, Scottie is a gay figure and supplies an amusing decoration for all sorts of household articles. There are sizes for children's clothes, towels, pillows, laundry bags, curtains, crib covers, etc. Best of all, Scottie gets done in quick time. Those easy outline stitches, you know! For the different sizes, see below. I also found this lovely cardigan with Scottie dogs embroidered on the button placket in the August 1940 Vogue magazine. How cute is that?? 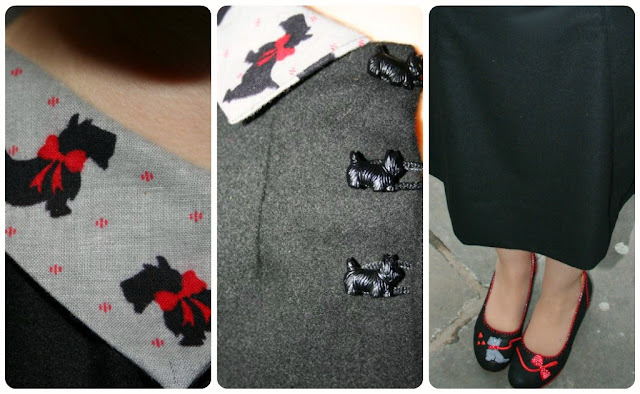 Ah...I just love all the Scottie dog designs!! Which are your favourites? This dress is so simple to put together that we can recommend it for beginners. the pockets fill up the entire side gores, their corners turn back. 5 sizes, 12 to 20. 45 cents. Blousing is the new word. 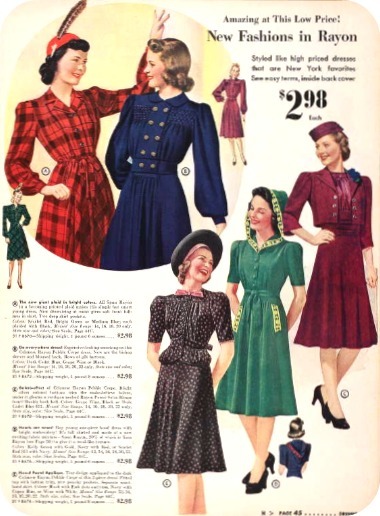 Most dresses now have a certain amount of it, all around or just in back. 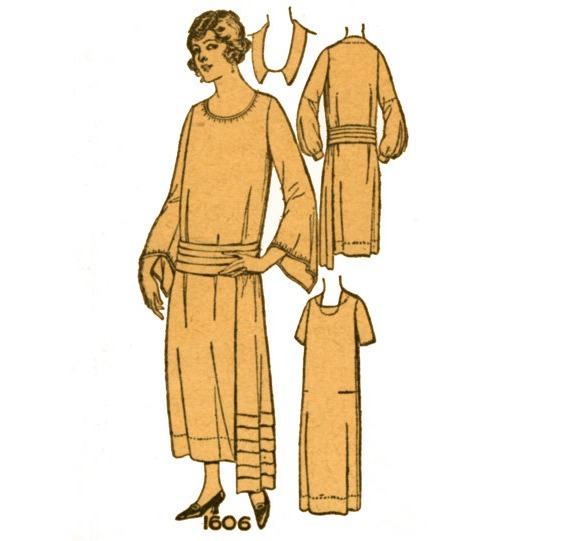 It is all-around blousing for the rust dress. This is a "young lady" frock, one that juniors can wear as well as adults. While this dress was indeed simple to put together, the amount of fun details on the dress make it seem more advanced. 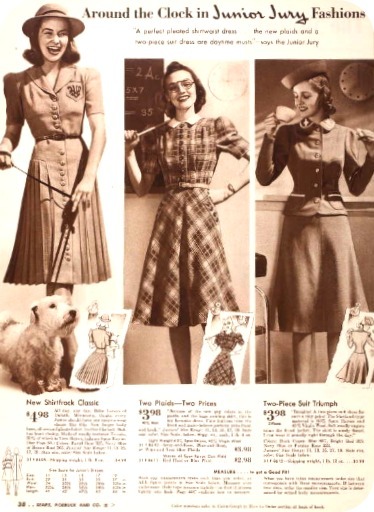 The blouse is gathered both at the neckline but also at the waist front. 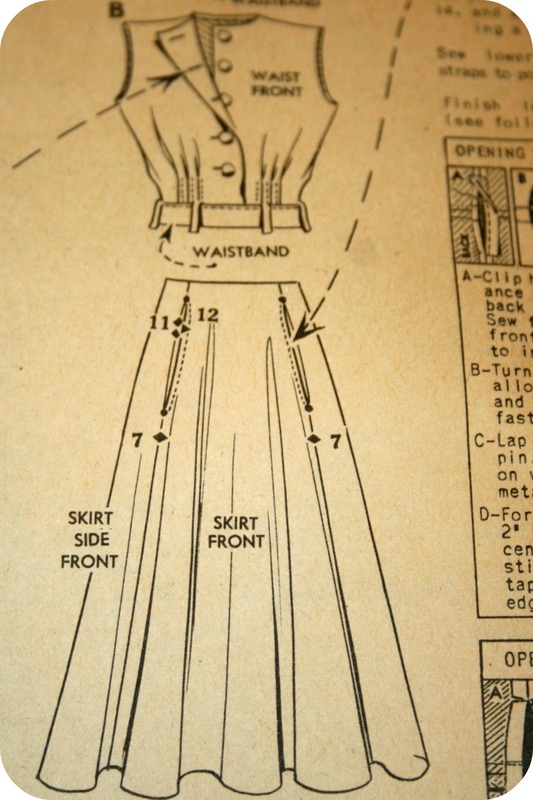 A set-in belt is sewn in on the waistline and the skirt and waist front are attached to this belt by lapped seams. I made the plain front version of the skirt, though the gathered one on version A is also very cute. I graded this pattern up by 2 inches all around with the exception of the sleeves which I left at a B32 size. 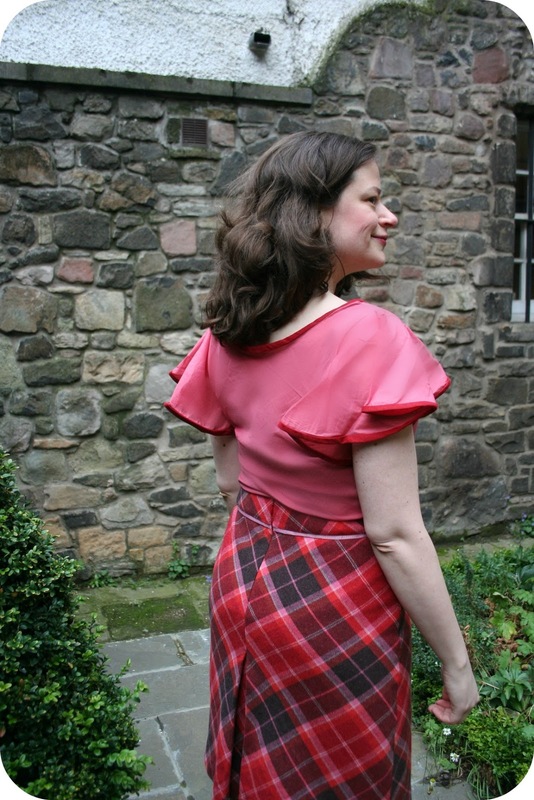 The great thing about grading up a multi-gored skirt is that all you had to do is add a bit to each seam allowance! Likewise, I added 1 inch overall to the blouse front and lengthened it about 1/2 inch and added just under an inch to the back (my back is narrower). I added the extra width in four places across the bodice front (for 1/4 inch in each section). It makes it easier to grade a pattern when there is a lot of gathers because you can just draw up the gathers more or less depending on what you need. The back is fairly plain. The dress closes by a side zipper and a back neck opening. 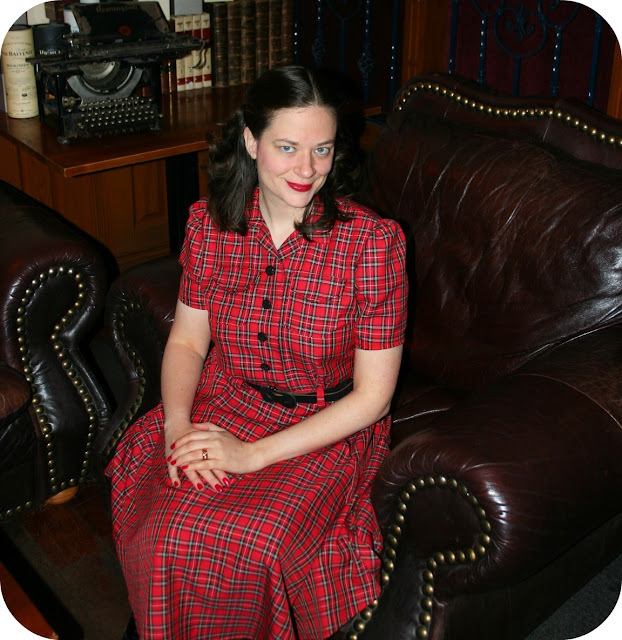 I used the three-quarter sleeves for this dress. They have a bit of gathering at the sleeve cap and are simply hemmed at the bottom of the sleeve. I had to insert both sleeves twice because I attached them inside out the first time (oops!). I even tried it on after I had basted the sleeves, determining that it looked good and then proceeded to stitch them up! Only after going to try it on again did I realize that the sleeves were on inside out! I blame the black fabric that looks the same from the inside as the outside and the fact that the seam was on the underside of the arm. Let's just say, I was very happy to get them back in the right way! The best part of the dress was playing with the collar and pocket flap details. I got this adorable remnant of scottie dog fabric at the Urban Eccentric vintage store when I was in the States. I had about a half a meter. 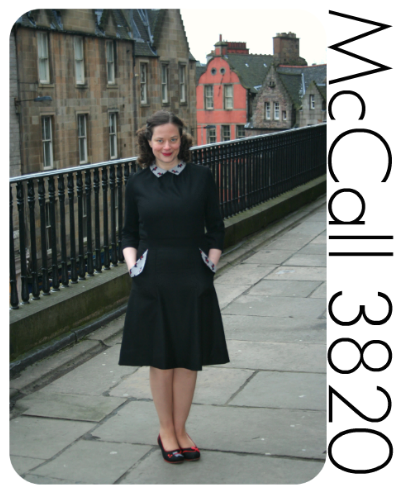 I carefully cut out the collar so that the Scottie dogs were roughly in the center of each collar. I also cut out the pocket flaps in the same manner. When I was constructing the pockets, I had a moment of panic when I thought my Scottie dogs would be upside down. So I cut out another set of pocket flaps. Turns out I was right the first time (lol) and they were in the right direction! I found these Scottie dog buttons at Mandor's Fabric in Glasgow (which is also where I picked up the black wool/viscose fabric). Aren't they adorable? I also got these Scottie dog shoes from David for Christmas. I LOVE THEM. I don't think I've fallen in love with a pair of shoes so much (except maybe my Ness shoes) as I have with these ones. They are from Irregular Choice, a funky online shoe company based in the UK, and they have the perfect heel size for me. They are so comfortable too! I might have to save up for another pair! 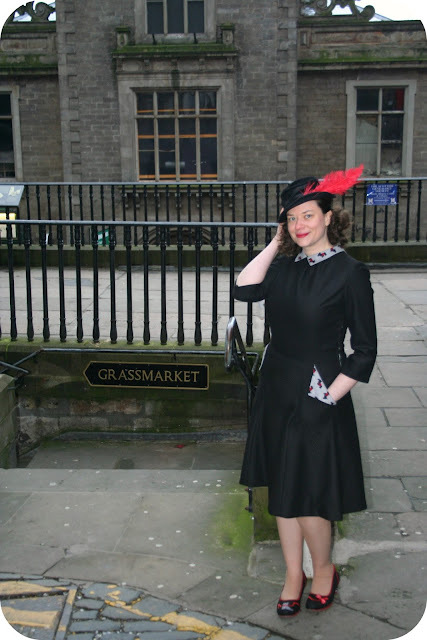 I also tried out the outfit with one of my favourite hats that I got awhile back from the Vintage Baroness herself (this is her etsy shop). It's a lovely black hat with a striking red feather! Definitely fits in with the 1940 look! Overall, I give the pattern a four out of five stars but give the Scottie dress ensemble a solid five stars! I think I am going to wear this one A LOT!